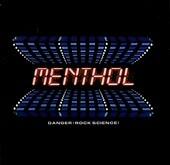 In Music We Trust - Menthol: Danger: Rock Science! Retro new-wave rock brought up-to-date with a crunchy guitar punch, former major label act Menthol finds themselves free of the corporate chains, as they explore their indie sounds on an indie label. Danger: Rock Science!, their latest, is a layer upon layer of glowing new wave, powerful rock 'n' roll, both with an abundance of melody and hooks to throw around. If only modern rock had fun and took its cue from the delicious new wave sounds of old, maybe radio would be in a better state. Though, it's not, but Menthol is still here, offering up their unique sound for you to enjoy and wonder, "What if...". I'll give it a B+. Mentally Ill, The: Gacy's Place: The Undiscovered Corpses Mento Buru: No Dancing Please!